Tamils in Federated Malaya and Singapore in the last century traced some of their roots to then Ceylon. First Prime Minister of Singapore, Lee Kuan Yew in his Forward in the book "A hundred years of Ceylonese in Malaysia and Singapore (1867 - 1967)" by S. Durai Raja Singam, says "in the early days of Malaysia's and Singapore's history the civil service and the professions were manned by a good number of Ceylonese. "Even today the Ceylonese community continue to play a prominent role in these and other fields of civil life. For example in Singapore, today, the Speaker of our Parliament is a Ceylonese. So is our High Commissioner in Great Britain. So is our Foreign Minister. In the Judiciary, in the civil service, in the University, in the Medical Service and in the professions they continue to make substantial contributions out of all proportion to their numbers. They are there not because they are members of a minority community but on the basis of merit. The point is that the Ceylonese are holding their own in open competition with communities far larger than them. They have asked for no special favour or consideration as a minority. What they have asked for - and quite rightly - is that they should be judged on their merits and that they be allowed to compete with all other citizens fairly and without discrimination. This, as far as the Singapore government is concerned, is what is best for all of us. I believe that the future belongs to that society which acknowledges and rewards ability, drive and high performance without regard to race, language or religion. Our Ceylonese citizens, like the other citizens of migrant stock, have made a distinctive contribution towards the enrichment and growth of Singapore, as they have towards the modernisation of Malaysia and Singapore during the past hundred years. Their forefathers emigrated and sweated and toiled to build a new world out of virgin jungle and swamp so that their descendants could live in dignity and equality: not on sufferance but as of right, because they sweated and toiled to build their new homeland". These passages from the book has echoes for our country where in the 50s and more stridently in the late 70s the position occupied by Tamils was the subject of abrasive discussion set on fire literally in 1983. It's being repeated somewhat differently now against the Muslims. LKY captured the ethos of the Ceylon Tamils. Unfortunately the knowledge of the capacity of the community to contribute to the welfare of Sri Lanka and to excel in spheres of public life was erased in the past three decades and replaced by the images of the conflict physically and figuratively. The piece today highlights examples of contributions by a few in Malaya and Singapore. 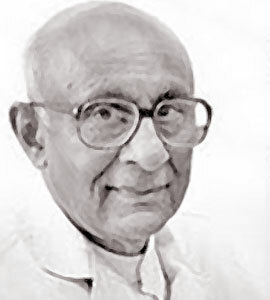 Born in Jaffna in 1915, Sinnathamby Rajaratnam a founding member of People Action Party (PAP) in 1954. He comprised the initial Big Three of the PAP with Lee Kuan Yew as the forerunner, Dr. Goh Keng Swee as the economist and himself as the ideologue. In a speech he made on the occasion of the 75th anniversary celebration of the Singapore Ceylon Tamils' Association (SCTA) in 1985, he said that there will be a "bright future for Ceylon Tamils 75 years from now even if - which I fervently hope will not happen - they become extinct in Ceylon". "...if something should go wrong with Singapore's politics...then there is no escape hatch for Ceylon Tamils. Indian Tamils can, if they are lucky, go back to the vast continent they came from...But there is no place for Ceylon Tamils to run to short of a miraculous return to sanity in their ancestral homeland." Rajaratnam's emotional sentiments towards Ceylon vis-à-vis his speeches is significant considering that he left the country when he was just six months old but he carried along with him the nostalgia of his birthplace. 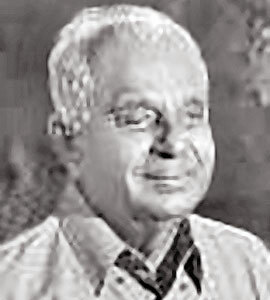 One of five children of a teacher and a homemaker, he entered the College of Medicine in 1937. 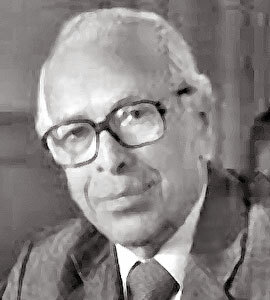 Prof. Shanmugaratnam was awarded the Public Administration Gold Medal in 1976 and conferred the title of Emeritus Professor by the University of Singapore in 1986 for his achievements in pathology. In 1996, he was awarded the title of Distinguished Fellow by the Royal College of Pathologists of Australasia. His son, Tharman Shanmugaratnam has served as Deputy Prime Minister since 2011 is also Chairman of the Monetary Authority of Singapore. He was also appointed Coordinating Minister for Economic and Social Policies in 2015. He is in addition Chairman of the Monetary Authority of Singapore (MAS), Singapore's central bank and financial regulator. T. K. Pillai hails from Batticaloa joined the then Sewerage Department in 1971, said work to develop a comprehensive sewerage system started in the 1960s and accelerated in the 1970s. This was to collect waste and prevent it from entering water bodies. "We had to lay sewers all over the island to connect new public housing and existing homes that were not served, to the sewerage system," he said. By January 1987, Singapore had bid farewell to its night-soil bucket system, where workers went on daily rounds to empty and clean buckets of human waste. The then Ministry of the Environment spent $1.6 billion to develop the new sewerage system. Mr. Pillai said: "Without (such a) system to handle the waste, Singapore would not be able to have such a large population on such a small island without constant epidemics." In 1987, Mr. Lee awarded him and nine other people gold medals for their leadership in cleaning up the Singapore River and Kallang Basin. 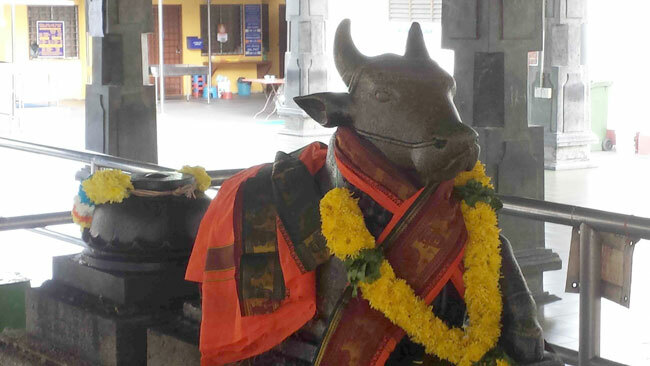 A Viswalingam was born into a family that had resided for generations in the village of Urelu in Jaffna. He was the oldest of seven children. With a spirit of adventure he got his parents' consent to visit Malaya in 1907. There he decided to take up the study of medicine and was successful in the competitive examination to select applicants in 1909. Dr. Viswalingam won several prizes as an undergraduate and was the only one out of his batch of 23 who passed all the examinations in the first instance, and one of six to graduate within the prescribed period of five years. Dr. Arumugam Viswalingam was the pioneer in the treatment of Yaws or 'puru' a skin ulcer that occurs mainly in the hot wet regions of the world. The bacteria that causes it is indistinguishable in shape and size from the syphilis bacteria, but it is transmitted by skin contact. At the peak, a total of 104,202 cases were treated in 1948. He was conferred the Order of the British Empire for his contributions in Malaya. 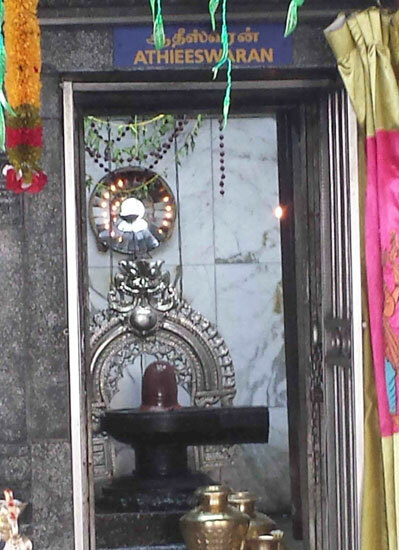 The lasting legacy he left behind was Athieeswaran Temple, Jalan Pusing, Sentul, Kuala Lumpur built in 1937 with a group of dedicated Saivite followers. These are a few examples of what the Tamil community is capable of contributing to any country in which they live.